ChillyRoom is a company mainly known for casual titles such as Soul Knight and Super Sticky Bros, and its latest offering for Android and iOS gamers is called We Happy Restaurant. 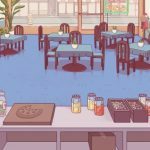 This is a restaurant simulator with simple mechanics and retro-early ‘90s graphics, but beyond that, there’s a lot more that helps this game stand out from the average, garden-variety restaurant simulator. For example, the food you’ll be preparing is “abominable” and in line with the titular restaurant’s lack of moral standards. So abominable is this food that it will cause your customers to mutate, but that’s exactly your goal here — satisfy your customers to the point that they’ll never go hungry again, albeit at the price of these gruesome mutations from eating your questionable food items. Simple as this game may appear, keeping everyone “Eternally Satisfied” is not an exact science. How do you maximize your restaurant’s profits, minimize angry customers, and expand your restaurant? We’re here to show you, through this We Happy Restaurant strategy guide. We’ve covered all major aspects of the game and some minor ones, so read on if this is your first time playing, or even if you’ve been playing for some time — we’re confident you might learn something new or figure out something that you didn’t quite get during the game’s tutorial stage! So let’s get started with our We Happy Restaurant guide, as we present you a bunch of tips, cheats and strategies to help you succeed in the game! Just as was hinted in the description, We Happy Restaurant is not your average, everyday restaurant. Sure, it serves the usual burgers, pizzas, and chicken you’d expect to order at such places, but there is a very important twist in here — all the food items that your customers purchase contain some sort of radioactive matter, and the more your customers eat, the more they’ll get mutated. And that’s actually a good thing, though as these customers order more food, their desired meal combos will progressively become more elaborate and/or premium — that means you’ll need to build more food machines and upgrade the ones you have to a) have more available slots and b) satisfy your customers’ evolving needs. Not having the resources to prepare the food they’re requesting will make them angry, and once they’re angry, you’ll have an important choice to make. But we’ll get there later because you might be wondering at this point — just how do you bring the customers in? How can you convince them to buy the toxic stuff you’re selling? In order to get more customers, you’ll need to “persuade” them by going to the blue phone booth outside your restaurant, tapping on the customer icons that appear, and paying some in-game cash; you’ll only be allowed to persuade so many customers in one sitting, and once you’re done with that, you’ll have to wait it out for a few minutes, or pay Green Essence (more on this later) to skip the wait time. When browsing through customers to persuade, you’ll see the base type of food they’ll initially request — it generally pays to make sure you can produce the meal they’re expecting, though as we stressed above, you’ll also need to upgrade food machines or install new ones to satisfy their needs as they evolve. In theory, it’s very simple — if you build the food machines and persuade the customers at the phone booth, then they will come. Could you keep these customers “eternally satisfied” (i.e. satisfy their final, most evolved meal request), or are you going to leave them irate because you can’t keep up with them? Keep on reading and we’ll tell you more. See the icon on the upper left of the screen with the Willy Wonka-like character who orients you at the start of the game? Tapping on it will pull up a list of “mini-tasks,” which will reward you with some much-needed cash (you might not need it too much at first) once you complete what’s being asked. 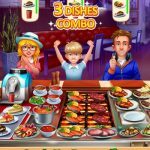 Unfortunately, We Happy Restaurant does not make it easier by automatically sending you to where you need to be in order for the task to be completed, like other games do. But the tasks are almost always simple and straightforward — for example, you may be asked to speed up service or digest your customers’ food a certain number of times, or you may have to “eternally satisfy” a certain type of customer. 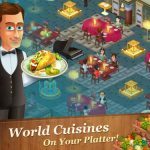 The tasks appear at random, but regardless of what they may be, complete as many of them as possible in order to earn more money and expand your restaurant faster! As you serve more customers in We Happy Restaurant, you will earn more money, which you will need to manually collect as it appears in the Service Counter. For each bundle of cash you collect, the meter on the bottom center of the screen — the Joy Bar — will fill up, doing so rather quickly at first but eventually slowing down as you expand your restaurant and the demands of your customers become more complex. Now it’s very important that you tap on the Joy Bar once it’s all filled up, as that’s going to trigger Joy Mode — a “fever mode” of sorts that lasts about five seconds or so and allows you to earn a ton of cash over that quick period of time. Make sure you’ve got your eyes on the Joy Bar so you know when to expect that huge stream of cash — as we mention several times here, you’ll need all that currency to keep adding food machines and upgrading existing ones. Green Essence, which you can find on the upper right corner of your screen, is a premium currency of sorts that allows you to do a number of things, such as speeding up the construction or upgrading of food machines, refreshing the phone booth so you could persuade a new batch of customers, and persuading Elite customers, who automatically count as the equivalent of five customers, but are also harder to please due to their evolving meal requests. There are two primary ways to add to your Green Essence without having to pay money for it, and the first would be to tap on the man with the television set outside your restaurant. Now he will inform you right off the bat that you have a maximum of six TV “programs” to watch per day, and these programs are, of course, ad videos. Watch one video for about 30 seconds (or sometimes less) and you’ll automatically get five Green Essence, ready to pick up after the TV guy runs back and forth like a madman before returning to his usual spot. The second way to get free Green Essence is to go to the left side of your restaurant, which is where you’ll find the Headquarters. This area includes the in-game store, the sauce machines (more on sauce later), and your boss’ office, where you’ll see a yellow exclamation point over the Willy Wonka guy’s head if he has some tasks for you to complete. Finish these tasks and return to him — sometimes he’ll ask you to do another task, sometimes he’ll give you the Green Essence right then and there, but either way, this typically results in five Green Essence for free, much like watching videos. 5. Dealing With Angry Customers – To Resell Or Not To Resell? Now you can either wait until you’ve gotten the resources required to satisfy your angry customers’ needs, or you can also “resell” them. Contrary to what some may think, this doesn’t mean selling them again on the benefits of eating at We Happy Restaurant. Instead, this means selling them back to wherever they came from, in essence allowing them to walk away unsatisfied for a fee that’s usually a bit larger than the amount you paid to persuade them. This may cost some money, but the good thing about reselling is that it brings your customer count down and allows you to persuade new customers to take their place. It can also help you achieve some of the mini-tasks, many of which could pay you in the tens of thousands! Generally speaking, we suggest reselling customers who have requests that are too far off on the horizon, given your cash flow situation at that point in time, or the length of time it takes for an upgrade to be completed. For example, if you’ve got a customer who’s angry because you can’t serve them level 2 tofu, you might as well resell them, as upgrading the tofu machine to level 2 isn’t just very expensive, but also a very long wait. Conversely, it wouldn’t be worth reselling a customer who’s demanding a level 2 burger if you’ve just got a minute remaining on your first Burger Radiator upgrade. 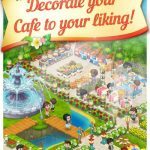 We Happy Restaurant has several items which you can purchase in order to spiff up the appearance of your restaurant — you could change the floor design or replace the seats and tables, with these new skins costing you a few thousands for the most part, or a few units of Green Essence, though we definitely do not recommend paying with premium currency for such add-ons. In fact, we would only suggest splashing some cash on these skins if you have tons of surplus currency on hand, because they do not have any bearing on the gameplay whatsoever. They do not allow customers to digest food faster, prevent customers from making unreasonable demands, or speed up the orders — they just change how the floor, seats, and tables appear, and are strictly there for aesthetic purposes. 7. When Should You Upgrade Your Restaurant? By tapping on any one of the pig statues in your restaurant, you will have the option to upgrade your restaurant, allowing for more machines to be constructed and more people to be served. This is going to cost you a ton of cash, but even if you have the resources to spend on an restaurant upgrade, or filled the requirement of combined machine purchases and upgrades to qualify for one, we suggest that you save your restaurant upgrade for a time when you’ve got enough spare cash on hand, as well as a few more machines than whatever was last required of you. For example, if you’re considering upgrading your restaurant from level 2 to 3, you’ll want to have at least seven machines, or two more machines than the five new machines/upgrades that the game asked of you to upgrade from level 1 to 2. As a bonus tip, we also suggest saving those additional service counters for times when you’ve got a lot of wiggle room to spend and a lot of customers to serve, even if it’s not that expensive to add a new counter. Sometimes, the game may go too slow for your liking, or more accurately, you may see it among the tasks — you may be asked to speed up food preparation or digest the food of your customers. (Yes, seriously.) The former is done by tapping on a Service Counter, then tapping on the Speed Up button, while the latter is done by tapping on any customer with a clock over their head, then tapping on the Digest button so that their food goes down faster. Clearly, these are two things you can do on a regular basis in order for your restaurant to earn money faster while you’re online and actively playing, but it’s not absolutely necessary to speed up food prep or digest food unless it’s asked of you through the mini-tasks. 9. How Do Sauces Work? You may have seen sauces mentioned among We Happy Restaurant’s many mini-tasks, and you may be wondering how you can produce them when there doesn’t seem to be any machine to create them among the food machines in your restaurant. For sauces, you’ll need to go to the left side, all the way to the back of your headquarters, then tap on the Warehouse on the upper left corner. You’ll need to pay 20,000 in cash in order to unlock the Warehouse, but once you do, you’ll be free to set up sauce machines. Once you’ve gotten them constructed, you can speed up sauce production by paying Green Essence, or upgrade the machines so you can hold more units per hour. But just what do these sauces do anyway? As the game might have hinted, sauces can help your business through their effect on your customers — they can, for one, allow customers to eat and digest their food faster, thus allowing for faster mutations and quicker satisfaction. You’ll want to have at least two machines up during your first few hours of playing the game — just like food machines, sauce machines could get progressively more expensive to purchase and upgrade as you go from one machine to the next! And this completes our We Happy Restaurant tips, cheats and strategies. If you’ve enjoyed this guide, know additional tips or tricks or just want to share your thoughts about the game, feel free to leave us a message in the comment area below!